Pellegrini: This was a much better performance after the horror of the no-show for Everton. We really are still very Jekyll and Hyde as a club but the decent West Ham turned up last night and almost stole a result. As always, Pelle was not shy of shaking it up and bringing back Balbuena was a big success while Ryan Fredericks is growing into a much more confident player. The return of Noble and Anderson were similarly positive but its up front where we are lost and need serious reinforcements in the Summer. 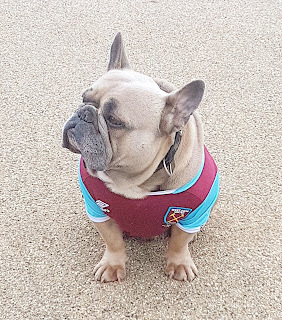 Arnie is lost (and overweight!) while Chicharito offers little beyond his poaching and cannot hold the ball up. One small gripe is that with 7th place now beyond our grasp maybe its time to give some youngsters a run - Diangana, Johnson, Coventry and Silva are all knocking on the door and would surely benefit from a run out. 7/10. Fabianski: Once again put in a top performance and faultless for the two goals. Our best keeper since Phil Parkes!!! 8/10. Fredericks: Must be disappointed to have played so well against Hazard yet the Belgian bagged a brace! Almost intercepted the first when everybody else failed and the second was on Cresswell's side. His pace is a real asset but could be a bit more productive going forward. 7/10. Ogbonna: Its gonna be a real battle for those two CB spots as Angelo is determined to hold onto his place and again looked very solid last night without doing anything spectacular (which is what a CB is supposed to!). 7/10. Balbuena: The General is back! Super performance reminded us why we have been unsteady at the back during his absence. Astute and on the pace despite the lack of recent game time. Our MOTM! 8.5/10. Cresswell: A hard night's work but he looks close to his best again and clearly enjoys playing with Anderson. Almost stole an equaliser as well by virtue of one of his many decent attacking contributions. 7.5/10. Rice: We have come to expect Declan to provide the heart of our engine room and he once again delivered. Looked happy to have Noble back alongside in midfield and kept trying to drive us forward in search of a goal. 8/10. Noble: Good to have him back and as usual he put in a busy performance on a tough night. Long may it continue! 7.5/10. Lanzini: Still not sure we can afford both Manny and Anderson in midfield as they are quite light on physicality. Starting to look more like his old self but not back to his pre-injury level. 6/10. Anderson: Always offers the chance of something different. Industrious (many fans underestimate how much defensive effort he puts in) and time and time again his excellent touch provides an out when we need to maintain possession. One shot that didn't quite make the grade but looked sharp all night. 8/10. Chicharito: His Hammers future is in the balance - last night demonstrated why we need to move on as he really doesn't offer enough to the general play. 5/10. Arnautovic: Dreadful. He really has lost it (and gained a few pounds!). Time to go for the disloyal one. Hardly put a foot right all night - one mate quipped "is he still training with the team cos it doesn't look like it"! 4/10. Obiang: No major impact 5/10. Snodgrass: Huffed and puffed with little result - a recurring description of his substitute appearances as he is not really a gamechanger. 5/10. Time for Arnie to ACTUALLY come back!! !